Launched in 2015, the price of Spice Xlife 431Q Lite is INR. 2999. Available at an inexpensive rate, the Spice Xlife 431Q features are standard and it makes the phone perfect for minimal or temporary use. The Spice Xlife 431Q can store up to 4GB of data in its internal memory while its expandable storage can go up to 32GB. The device boots on Android KitKat v4.4. 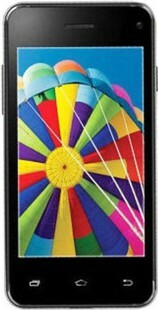 It is equipped with a Quad-core processor that gives a much faster performance. The processor speed is 1.2GHz and it is linked to 512MB RAM. The phone battery has an average capacity of 1750mAh that gives 8 hours talk time on 2G. The primary camera is 3.2 Megapixel and it is set with a Dual-LED flash for better light settings and a perfect picture. The 1.3 Megapixel secondary camera proves to be useful for selfies and video calling. A very good feature about this dual-SIM device is that supports 3G for a better internet speed. Coming to the design, the Spice Xlife 431Q Lite has an impressive 4-inch WVGA screen with a good display quality at 480x800 pixels resolution. The body of the phone is smooth and easy to handle. You won’t mind showing off this smartphone because of its classy and simple appearance. The Spice Xlife 431Q Lite is a decent device to opt for. However, the device can do better with its RAM capacity, which might slow down the performance of the processor, and the battery. Spice Xlife 431Q Lite full specs and reviews as of Apr 2019. Buy it here!